4 October: Our Spotlight campaign closing event was held at Welgemeend in Cape Town. Of the six targets of our campaign, two (Sanlam and Investec) were represented in person to respond to our call for fossil fuel-free funds, while Old Mutual and the GEPF sent messages variously of support and acknowledgement. 26 September: Our Spotlight campaign closing ads appear in Business Day. 8 September: Participated in the joint civil society event Rise for Climate at the Rosebank Methodist Church, Cape Town. 7 August: Evening mini Divest Fest hosted at Stoep Startup co-working space in Plumstead, Cape Town. 17 July: S&P, which had representatives attending our May 2017 workshop, and with whom we’ve had extensive subsequent engagement, launches a series of future carbon price risk indices, including one for South Africa. July: We launch our social media and grassroots petition drive to boost our call to SA asset managers for fossil-free funds. 23 June: Second Divest Fest held in Johannesburg, co-hosted with 350 Africa. 24 February: We hold our first Divest Fest in Cape Town. 4 September: Two South African Catholic institutions, the Archdiocese of Cape Town, and Catholic Welfare and Development, announce their decisions to divest as part of a greater global group of 40 divesting Catholic institutions. Both are institutions which FFSA has engaged in dialogue encouraging divestment. I am taking this a step further and I have informed our Finance Directorate that we are going to divest from fossil fuel assets and companies in favour of greener and cleaner investments which are in line with our vision of a sustainable future. We are going to instruct investors looking after our money not to put our money into fossil fuel-related companies or for it to be used to fund the development of dirty and unsustainable projects. We want our investments to be aligned with our principles of resilience and sustainability. 17/18 May: Fossil Free SA attends an international workshop in Amsterdam on divesting global pension funds, convened by the Wallace Global Fund and Both ENDS. 15 May: Fossil Free SA attends the UCT divestment think-tank event co-hosted by the Climate Action Project, Green Campus Initiative, the Vice Chancellor Dr Max Price and Pro Vice Chancellor for Climate Change Professor Mark New. 10 May: After months of planning, we convene the first-ever workshop on divestment for financial services professionals in Cape Town. 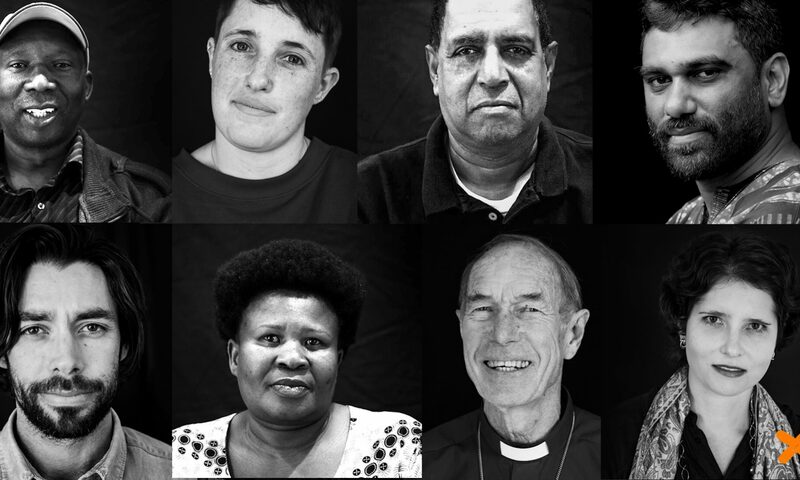 30 September: The Anglican Church of South Africa votes to divest from fossil fuels. May: The international campaign for fossil fuel divestment and our work is covered in earthworks magazine. 21 April: David Le Page, FFSA campaign coordinator, wins the Eco-Warrior category in the 2015/16 Enviropaedia Eco-Logic Awards. 26 November: We hold a successful screening of the Naomi Klein film This Changes Everything in Cape Town. 8 October: Stellenbosch University students write to the university administration urging divestment. 18 June: Fossil Free SA presents the rationale for fossil fuel divestment to analysts at Futuregrowth Asset Management. 27 May: David Le Page of Fossil Free SA joins a panel discussion on whether non-profits should align their investments with their values, hosted by Inyathelo. 12 May: Fossil Free UCT facilitates a meeting between May Boeve of 350.org, UCT Vice Chancellor Dr Max Price and members of the UCT investment task team. 28 March: Fossil Free SA meets the public at the WWF/AIDC Renewable Energy Festival. 19 February: Fossil Free SA becomes a formal legal entity (a voluntary association seeking PBO status) and our first ever management meeting is convened in Kenilworth, Cape Town. 27 November: FFSA launch in Durban attended by 40 people. 24 November: FFSA launch in Pretoria, attended by 15 people. 20 November: FFSA launch in Johannesburg at St Francis in Parkview attended by 40 people, with guest speakers Ronnie Kasrils (former minister of water affairs and forestry), Makoma Lekalakala (Earthlife Africa) and Ferrial Adam (350 Africa). 19 November: FFSA launch in Bloemfontein attended by six academics at the University of the Free State. 12 November: Fossil Free South Africa launched in Cape Town at the Mountain Club in Hatfield Street, with keynote speakers Rev Mpho Tutu of the Desmond and Leah Tutu Legacy Foundation, and Anton Cartwright of the UCT African Centre for Cities. 25 October: Our first ever ‘divestment dinner’. Seven guests watched Do The Math, and then discussed divestment as a strategy. A template letter for writing to investment managers requesting fossil free investments was distributed. Participants were invited to register support for Fossil Free SA. Salad was eaten.